Pogorzelska J, Zaglaniczny D, Zmyślna A, Kiebzak W. Observation of deep oscillation usage and its effectiveness on burn scars – case report. Medical Studies/Studia Medyczne. 2017;33(1):46-50. doi:10.5114/ms.2017.66956. Pogorzelska, Justyna A., Dominik Zaglaniczny, Anna Zmyślna, and Wojciech Kiebzak. 2017. "Observation of deep oscillation usage and its effectiveness on burn scars – case report". Medical Studies/Studia Medyczne 33 (1): 46-50. doi:10.5114/ms.2017.66956. 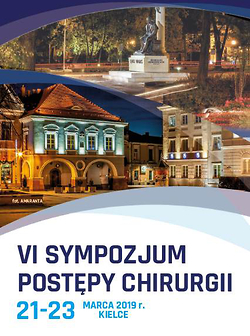 Pogorzelska, Justyna A. et al. "Observation of deep oscillation usage and its effectiveness on burn scars – case report." Medical Studies/Studia Medyczne, vol. 33, no. 1, 2017, pp. 46-50. doi:10.5114/ms.2017.66956. Every organism that has undergone tissue damage as a result of mechanical trauma, surgical intervention, or any other past injuries aims at immediate recovery . Wound healing is a dynamic and congeneric process, which in ideal conditions results in re-establishing the continuity and the functionality. It consists of a sequence of interlocked stages beginning with the moment of wound appearance, and it can last for several of months, even years. Wound healing comprises of several phases. The first one is the blood clot lasting from 6 to 7 days after trauma. The next phase is called inflammation, which consists of cleansing the wound and lasts predominantly up to 4 days. After that, the granulation and wound decreasing take place. On about the twenty-first day from the sustained injury, the phase of healing begins, in which the newly formed tissue is modelled and rebuilt resulting ultimately in the scar remaining . Such a scar originally contains a disorganised system of minor collagen fibres, which is gradually replaced by thicker fibres arranged in the exposure corresponding to the strains of normal, unharmed skin. The regular scar, whose phases undergo without any complications, is formed 48 h after wound closure, and it can disappear after 3 months. Then, it does not require any technical treatment and heals without interference. At that time the wound becomes flat and more resistant to mechanical factors . The influence of external factors and the genetic predispositions cause improper cicatrisation, which can last up to 18 months, and it can even be formed for the entire life-time . The dysfunctional process of synthesis and collagen degradation can result in incommensurate scar formation or the scar can be formed in excess, which can lead to hypertrophic scar or keloid scar. The vital principle in the process of medical procedures with a healing wound is the application of the proper methods of pharmacological, physical, and surgical therapy at the right time . Due to the fact that the newly formed scar is not resistant enough to stretch (because after 3 weeks from the injury it has only 20% of normal skin resilience) it is advised in the first weeks to use preservative forms of streamlining such as ointments and creams used topically as the first line of treatment. Most forms of scar amending are used only from the moment of wound closure and suture removal. In the case of high-risk patients who have tendency to develop keloid scars, the process of treatment involves a wider gamut of streamlining such as silicon gels or pressotherapy. A vital role in scar therapy is also played by kinesiology taping . Among the physical treatments, the most frequent ones are laser therapy and iontophoresis. The surgical methods, also known as the incursion of tissue continuity, include scar excision, scar modelling, steroid injecting, cryosurgery, chemical peels, microdermabrasion, mesotherapy, and high-energy laser surgery . Scars that are usually firm, red, or thickened, or if they infringe the initial injury line, are an indication to use the above-mentioned methods. One of the methods, whose task is not only streamlining an already existing scar but also action in its early stage of formation, is called deep oscillation. It is a noninvasive, painless method that is based on intermittent electrostatic field created by an apparatus between the applicator and the patient’s tissues. During the procedure the tissues are pulled by electrostatic forces and then released in the selected frequency range (5–250 Hz) . It evokes a unique, deep resonant vibration, also known as tissue oscillation, which permeates the skin, connective tissue, hypodermatic body fat, muscles, blood, and lymphatic vessels to a depth of 8 cm . Inside the tissues spanned by the resonant vibration, the stimulation of basic substance takes place, which results in improved process of endosmosis and transportation of inter-tissue fluids containing, among other things, proteins, cellular decay products, and neurotransmitters . The aim of deep oscillation is an intentional interference in the physiological processes of tissue trophism. In the process of healing (regeneration) of the damaged tissues, deep oscillation has significant importance. The use of this treatment method can help to intensify and improve processes of wound cicatrising. Thanks to the effect of reducing the oedema and anti-inflammatory impact, trophism improvement, and elimination of local metabolites in every tissue layers, reconstruction of the tissue and the scar formation increase on many levels. It is documented by the crucial improvement of planimetric and biochemical parameters of wound healing. The advantage of deep oscillation is its usage in the very early disease stage, even on the second day after the procedure. Thanks to the unique, mild remedying, deep oscillation is used as a first-line treatment among other things after skin graft, mastectomy, Caesarean section, shunts, scorches, endoprosthesis, helcosis, and diabetic foot. In chronic afflictions, among other things, in case of perennial scars, this therapy helps to decrease tissue fibrosis and sclerosis. The aim of the following thesis is the observation of deep oscillation use and its effectiveness in the event of newly formed burn scars. On 4th July 2016, a 16-month-old girl experienced a thermal scald – caused by boiling tea – to her left arm and her chest; the burn was of first and second degree. On the same day, she was hospitalised in the Polanki Children’s Hospital in Gdansk. On 14th July, after hospitalisation, she was discharged in good condition with a prescription for further treatment and rehabilitation. Since 17th July 2016, the girl was given a physiotherapeutic care in the Functional Rehabilitation Office in Gdansk, where the streamlining demeanour in the shape of deep oscillation was implemented on the left thoracic limb (Figure 1). On 22nd July 2016, deep oscillation was used on the scar within the chest (Figure 2). In order to objectivise the change of the scar’s look, the Vancouver scale was used, which estimated four variables: blood supply, pigmentation, deformability, and scar elevation and thickness. Before the therapy, the scar received 7 points on the Vancouver scale. The patient was given a month-long treatment, from 17th July till 10th August 2016. Deep oscillation procedures were executed four times a week – altogether 16 sessions were made on the left arm and 12 on the chest. The scorch site during the first two procedures was preserved with food foil. Usually, the wound is secured by a sterile dressing of Tegaderm class. Due to the large scorch area, the foil was used as a substitutive means. The Tegaderm dressing as well as foil do not disturb the electrostatic field administration, which allows the procedure to be executed within the wound site. The next treatment was made directly on the skin. The total time of the procedure was 21 min. Therapy under the methodological account was performed according to the principles of lymphatic drainage according to Asdonka . The parameters of the sessions were chosen in accordance with the procedure assumptions on the scorch tissue; 80–120 Hz – 5 min, 25 Hz – 8 min, 180 Hz – 8 min. The procedure was well tolerated by the patient, which allowed him to perform full-time. About 50–80% of all scalds concern children. The scorch incidents usually happen to children under the age of 4 years. The most common scalds are situated on the face, neck, torso, and upper limbs. It is connected with the mechanism of the trauma, which consists of the pouring of hot liquids (tea, coffee, water) onto one’s body by the children themselves. Injuries located so specifically always constitute a serious problem of diagnostic and remedial nature. Healing such scalds is the talking point in the discussion about which cure method should be chosen as the optimal one. Deep oscillation is a unique, noninvasive, painless, and simultaneously very effective form of therapy. The advantage of this system is the possibility of mechanical stimulation in all those cases where the traditional mechanical therapy is contraindicated, especially in muscle trauma and extensive injuries. Deep oscillation is often used in myalgic traumas and lymphatic oedema. On the grounds of research projects made by O’Brien CP and Watson A, deep oscillation shows potential benefits in the pathologic condition of the musculoskeletal system. According to Friesen L, it causes a decrease in pain as well as oedema in severe injuries. Thanks to the impulsive electrostatic field, it increases the microvasculature in the diseased connective tissue, which results in decreasing the oedema, and increasing the lymph flux, which is a vital aspect, especially in the case of oncological patients [11, 12]. Deep oscillation can be deployed in the early stages of injury, stimulating the regeneration processes. It has a significant importance in the case of barely healing wounds and in keloid scar treatment. The use of deep oscillation leads to a significant acceleration of the damaged tissues healing process, which is important for physiotherapy. Among other things, faster healing improves the quality of the tissue, which allows more effective rehabilitation methods to be introduced, which in turn implicates not only quicker tissue recuperation but also considerable improvement of its quality. Based on this very case, one can state that deep oscillation, in a short period of time, achieved the anticipated effects. During the use of deep oscillation, a change of skin colour within the scar sites could be already observed after 9 days within the upper limb (Figure 3) and 5 days within the chest area (Figure 4). After exposing the scars to the deep oscillation treatment system, the Vancouver scale decreased from seven to three points. However, the biggest changes took place in the region of blood supply, scar pigmentation, and flexibility, which could be seen in the palpating test (Figures 5 and 6). The usage of deep oscillation leads to a significant acceleration of the damaged tissue healing process, which allows faster and more efficient streamlining of the patient. From the author’s own observation, it can be deduced that the use of deep oscillation can play a crucial role in the process of scorch scar treatment. It is legitimate to expand the research in the direction of deep oscillation usage on scars with the verification of changes evaluation observed during the use of it. 1. Gonzalez AC, Costa TF, Andrade ZA, Medrado AR. Wound healing – a literature review. An Bras Dermatol 2016; 91: 614-20. 2. Monaco JL, Lawrence WT. Acute wound healing: an overview. Clin Plast Surg 2003; 30: 1-12. 3. Philandrianos C, Kerfant N, Jaloux C Jr, Martinet L, Bertrand B, Casanova D. Keloid scars (part I): clinical presentation, epidemiology, histology and pathogenesis. Ann Chir Plast Esthet 2016; 61: 128-35. 4. Martin C, Bonas S, Shepher L, Hedges E. The experience of scar management for adults with burns: an interpretative phenomenological analysis. Burns 2016; 42: 1311-22. 5. Zajt-Kwiatkowska J, Rajkowska-Labon E, Skrobol W, Bakuła S. Kinesio Taping – metoda wspomagająca proces usprawniania fizjoterapeutycznego – wybrane aplikacje kliniczne. Nowiny Lek 2005; 74: 190-4. 6. Karwacińska J, Kiebzak W, Stepanek-Finda B, Kowalski IM, Protasiewicz-Fałdowska H, Trybulski R, Starczyńska M. Effectiveness of Kinesio Taping on hypertrophic scars, keloids and scar contractures. Pol Ann Med 2012; 19: 50-75. 7. Juckett G, Hartman-Adams H. Management of keloids and hypertrophic scars. Am Fam Physician 2009; 80: 253-60. 8. Trybulski R. Fizykalne metody drenażu limfatycznego we wczesnej fazie fizjoterapii pourazowej narządu ruchu. Medycyna manualna. Polish Journal of Manual Medicine. Głogów 2016; 27-42. 9. Apanes SH, Suarez A, Acosta TB, Rojas RW, Prieto BF, Morales MC. Value of deep oscillation therapy in the healing of AB Burns. Revista Cubana de Medicina Físicay Rehabilitación 2010; 2: 3-12. 10. Trybulski R. Terapia fizykalna głęboką oscylacją i elektrostymulacja body flow w uzupełnieniu leczenia obrzęków. Rehabil Prakt 2011; 6: 49-55. 11. Friesen LM. Effect of deep oscillation therapy on the reduction of swelling and pain following acute ankle sprain. James Madison University 2010. 12. O’Brien CP, Watson A. Deep oscillation therapy in the treatment of lateral epicondylalgia: a pilot randomized control trial. J Sports Med Doping Stud 2016; 6: 3. Copyright: © 2017 Jan Kochanowski University in Kielce This is an Open Access article distributed under the terms of the Creative Commons Attribution-NonCommercial-ShareAlike 4.0 International (CC BY-NC-SA 4.0) License (http://creativecommons.org/licenses/by-nc-sa/4.0/), allowing third parties to copy and redistribute the material in any medium or format and to remix, transform, and build upon the material, provided the original work is properly cited and states its license.